As you drive around your town, you’re almost certain to have come across some newly-planted city trees or road trees that are wrapped in a green tarp-like bag. These bags are Treegators! The Treegator is a slow-release watering system that helps nourish freshly planted trees of diameter between 2″ and 4″. These watering bags help them survive the early transition period to a new location and helping to ensure that these trees grow and prosper. Where do you buy a Treegator, and are they worth it? 1.1 How Does the Treegator work? 1.2 How Do You Install a Treegator? 1.3 Does the water actually touch the trunk of the tree? 1.4 What about Low-Hanging Branches? 1.5 How Often Does the Treegator need to be refilled? 1.6 How Long Does it Take to Fill a Tree Bag? 1.7 How Long Does it Take for the Water to Drain Out of a Treegator? 1.8 Can You Use a Treegator on a Tree Larger than 4″ in Diameter? 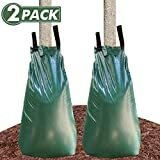 1.10 A Treegators the Best Tree Watering Bags? 1.15 Conclusion: Keep Your Trees Alive! The easiest place to buy the Treegator is off of Amazon, of course! 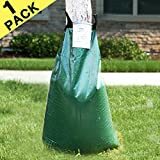 Amazon has several listings for Treegator products, as well as a few other brands of similar tree bags. We’ll look at a few other options, as well as other Treegators, below. 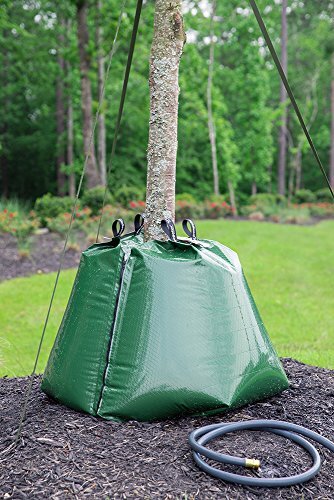 But first, we’ll dig into the details as to the benefits of using tree bags on your newly-planted trees. How Does the Treegator work? The Treegator is essentially a plastic bag that gets filled with water. You zip the plastic bag onto the tree and fill it with water. On the bottom of the bag, there are pinholes that slowly release the water inside the bag and slowly water the roots of the tree. How Do You Install a Treegator? Wrap the Treegator around the tree trunk, and zip it up. Try to keep the zipper on the upgrade side of the tree. Pull up the tags, which will open up the fill spout. Put your garden hose into the bag through the opening, and begin to fill. After a minute or two, pull up the two tags on the side of the bag to adjust the way that it’s sitting, and to ensure that you’ll be able to fill the bag fully. Complete filling the bag, and you’re good to go. Does the water actually touch the trunk of the tree? No, the water doesn’t actually come in contact with the tree. Think of taking a plastic bag and folding it in two, and wrapping that around the tree. Then that plastic bag is filled with water, so that it forms something of a donut shape around the tree, though the trunk itself is in contact only with the plastic of the bag. Imagine the ends of the bag are secured together, and holes are poked through the bottom to allow water to slowly seep out. This is essentially how the Treegator works, and how it is formed. You’ll have to take care of any low-hanging branches with a pruning saw or shears. Ensure there’s enough room to stand the Treegator up completely on the tree. How Often Does the Treegator need to be refilled? The bag should be filled up approximately every week, depending on your environment and the general level of rain and dampness of your soil. How Long Does it Take to Fill a Tree Bag? Not that long, generally 5 minutes or so to fill one of these bags completely. Of course, it depends on your water pressure, but these bags typically hold in the range of 15 gallons of water, and need 5-10 minutes to fill up fully. How Long Does it Take for the Water to Drain Out of a Treegator? Typically the water will drain out of the bag over the course of 5-10 hours. If your area was in a super drought, you could fill your bag up every day to ensure that the tree remains healthy and nourished. Can You Use a Treegator on a Tree Larger than 4″ in Diameter? If you use multiple bags, you can wrap multiple Treegators around a larger tree. These bags zip up, so by zipping two bags to each other, you can double the size of your opening! 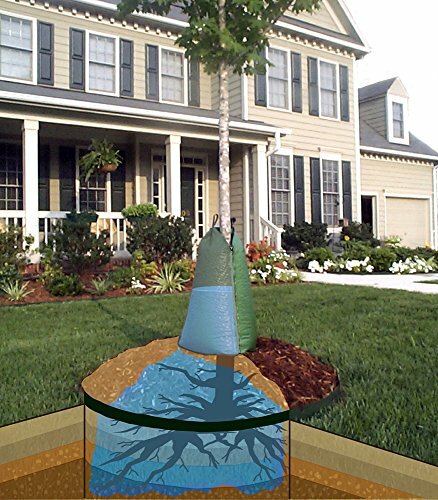 You can use this method to water a tree up to 8″ in diameter. Of course, it will take twice as long to fill a double-gator! Note: Don’t assume you can combine different brands together, the zippers are likely different. Absolutely! Once your tree is established, you can move your Treegator to another tree, and give it some extra oomph as well. Just be wary not to let water freeze in a Treegator, as this can cause the fabric to rip. Additionally, be careful when working with your weed eater, lawn mower, or other garden tools around the Treegator. If you puncture it, it’s done. Just unzip the Treegator from the tree when you’re prepping for winter, and store inside. In the spring, place the ‘Gator on a new tree, and you’ll be good to go! A Treegators the Best Tree Watering Bags? Treegators are expensive! Of course, many of the competitors’ bags are made overseas in places like China, and some gardeners may have some concern about placing Chinese plastic directly against their fruit trees. We understand the concern and leave it to the reader to decide whether there is any significant concern regarding this. There are a few other options that are significantly cheaper and work essentially the same. Let’s look at a few of the other options now. Greenscapes is perhaps the most significant competition for Treegator. Their bags are very similar in size and scale, have similar durability, and have zipper design that works in the same way as a Treegator. You can combine two Greenscapes bags together in the same way you can combine two Treegators. Like the Greenscapes, the Remiawy tree bags are essentially knockoffs of the Treegator. They of similar design, and are sold at a significant discount to Treegator, though their quality isn’t radically different. Additionally, they’re covered under a guarantee, though there’s no specified date as to when the guarantee is expired. Another popular tree bag is the Cyrico option. Again, these are essentially copies of the Treegator. Cyrico backs their tree bags with a lifetime guarantee, which is pretty great. That said, many find that these bags tend to burst or leak more quickly than a Treegator would. If you like the idea of sticking with the brand-name and need multiple bags, you can purchase in bulk and save somewhat. This doesn’t bring the price of an actual Treegator down anywhere near that of the knockoffs, but it does save significantly! And if you want to pick up a lot of Treegators, you could try here! Conclusion: Keep Your Trees Alive! The Treegator is an invaluable method of keeping immature trees alive, and fostering their growth. 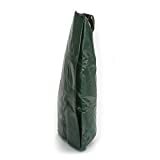 These bags are an additional cost, but compared to the cost of a new tree if your tree dies, they are often a bargain! Choose an original Treegator, or one of the knockoffs, it really doesn’t matter: the benefits to regularly watering your trees is immense.